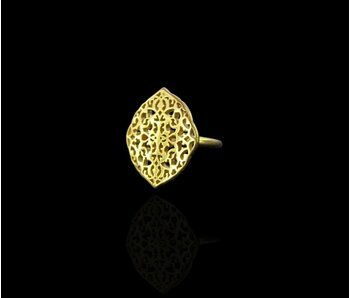 Oval floral motif arabesque ring in silver and gold plated. 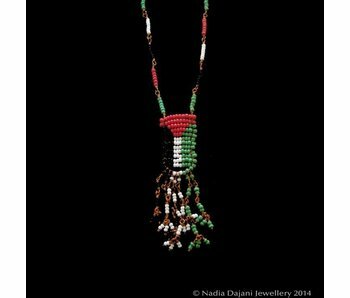 Palestine flag necklace made with glass beads and copper wire. 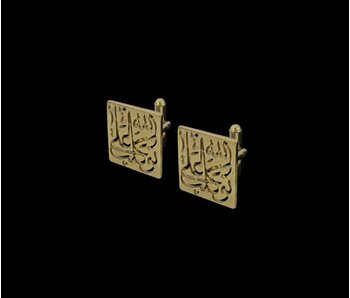 Be content with all that God gives you. 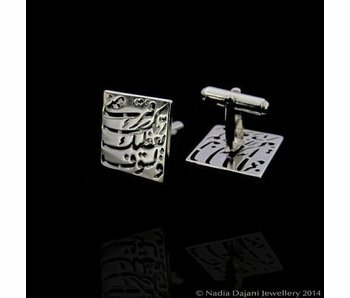 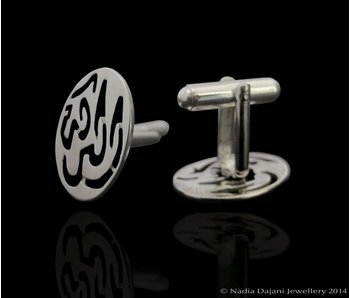 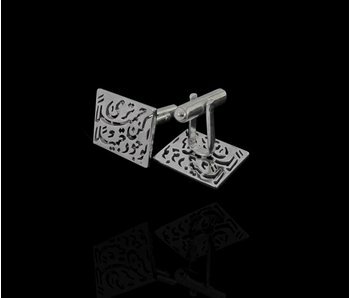 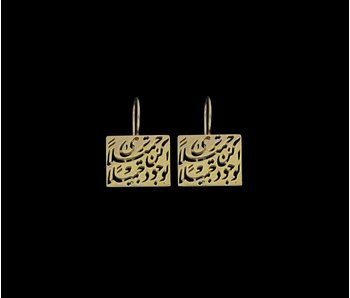 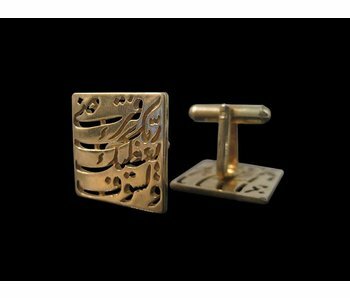 Oval shaped silver cufflinks with the words peace and blessings inscribed in Arabic calligraphy. 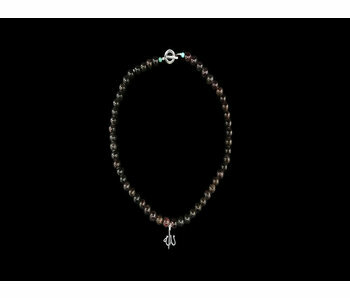 Freshwater pearls strung together with black cord on this bracelet whose closure ends with a small tassel with glass turquoise beads for protection. 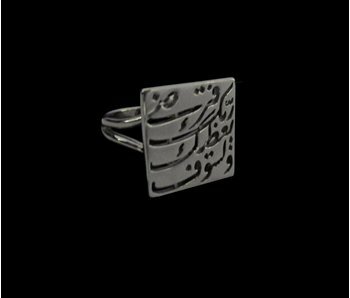 Be beautiful and you will see the world as beautiful. 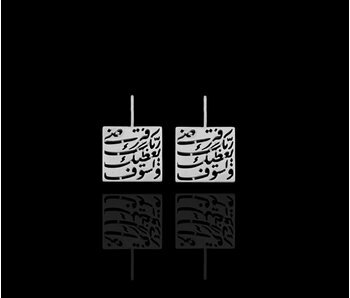 From a poem by Elia Abu Madi. 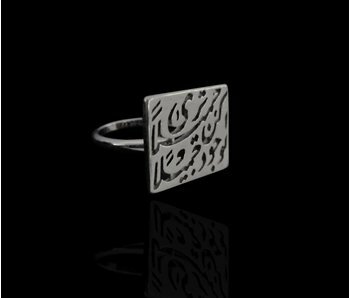 Silver ring with a double band and a square top and the phrase Tawakalt ala Allah inscribed in Arabic calligraphy. 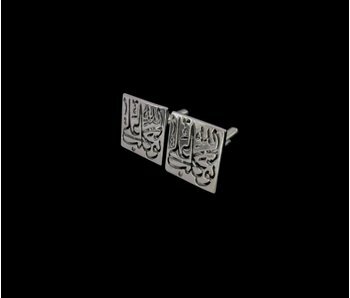 I put my faith in the hands of God. 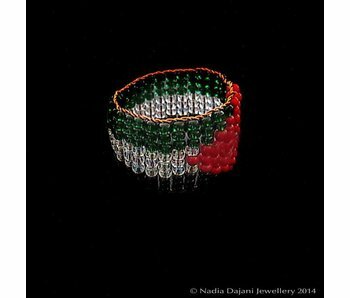 Palestine flag made out of glass beads linked with copper wire. 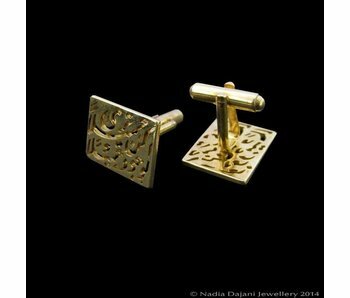 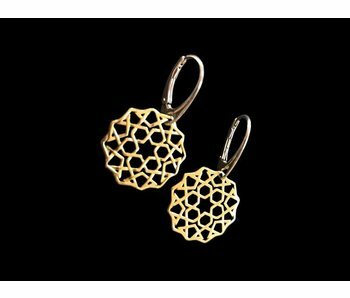 Gold plated geometrical motif with silver French hooks. 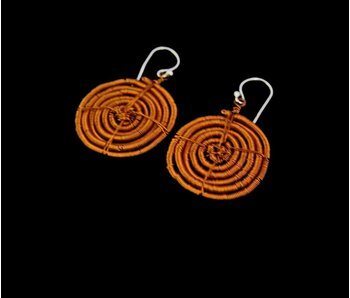 Large round copper earrings made from fine copper wire wound in swirls. 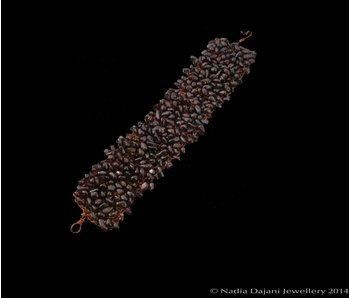 Gemstones hand crocheted onto copper wire to create this cuff bracelet. 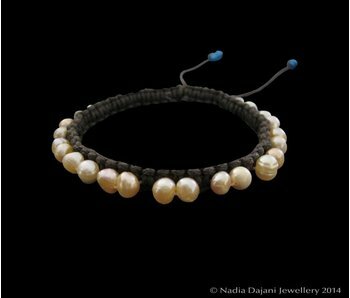 Our artisans in the Mugablein workshop demonstrate dexterity in their workmanship producing this bracelet. 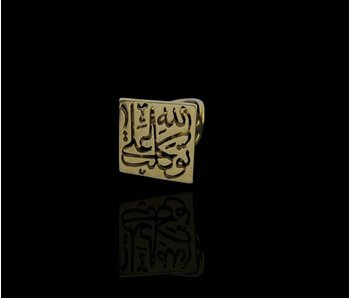 Garnet necklace with a central pendant with Allah written in Arabic calligraphy. 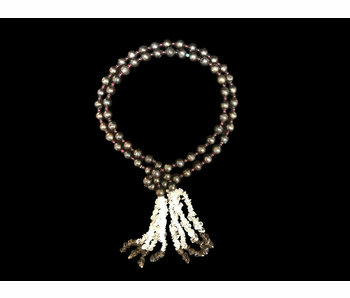 Grey pearl rope necklace with tumbled gemstone tassels. 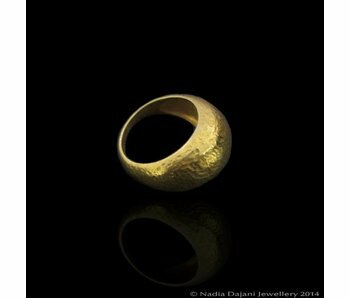 Silver and gold plated band ring with a hammered finish, typical of the Roman period, many of which are found at the Citadel Museum in Amman, Jordan. 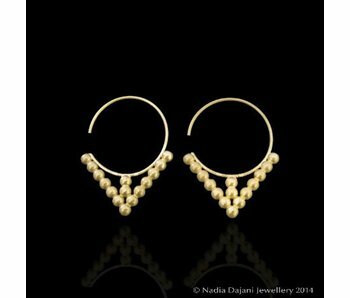 Silver gold plated hoop earrings with intricate gold bead work.